The Women Human Rights Defenders International Coalition calls for the immediate and unconditional release of human rights defender Ebtisam Al-Saegh, and for an end to the harassment, intimidation, and threats she has been subjected to. We express deep concern for Ebtisam Al-Saegh’s safety and wellbeing, and about the continued harassment, intimidation and violence she has faced at the hands of authorities in Bahrain, that is in direct violation of the country’s commitment to international human rights law. Ebtisam Al-Saegh, who works for Salam for Democracy and Human Rights (SALAM DHR) reporting on human rights violations and calling for justice for victims of torture in Bahrain, was arrested at the end of May, beaten and sexually assaulted by members of the Bahraini National Security Agency (NSA). 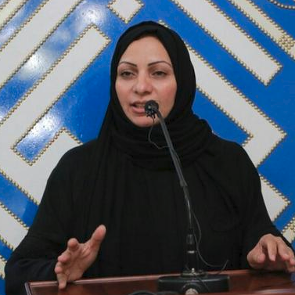 The Bahraini authorities have not investigated these claims, putting Ebtisam Al-Saegh at renewed risk for torture and other ill-treatment, including sexual assault. On 3 July, Ebtisam Al-Saegh was detained following a raid on her home, when masked officers in plainclothes and without presenting a warrant, arrested her. She was later taken to Issa Town Women’s Detention Centre, after an interrogation at an unknown location. Earlier that day Ebtisam Al-Saegh had been tweeting about the ill treatment of women by the NSA. On 6 July, her home was again raided again by masked men and all the family’s phones were confiscated. They told her daughter that they knew she had been giving out information about her mother who had not cooperated with them. Ebtisam Al-Saegh has been targeted numerous times in the past, including through interrogation, media harassment, and a travel ban imposed on her and other human rights defenders prior to the 32nd regular session of the Human Rights Council in Geneva. The Women Human Rights Defenders International Coalition calls for the immediate and unconditional release of Woman Human Rights Defender Ebtisam Al-Saegh, the end to the harassment, intimidation, violence and threats towards her and her family, and for the Bahraini authorities to end their campaign against all human rights defenders.